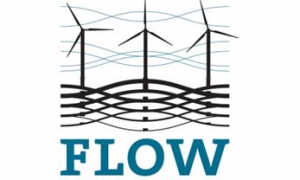 The Belgian Offshore Platform (BOP) reunites the investors and project developers of wind energy in the Belgian part of the North Sea. BOP is the voice of the Belgian offshore wind energy. There are currently 8 offshore wind projects in the Exclusive Economic Zone (EEZ) representing a total installed capacity of 2.267MW offshore wind energy. In 2018, five projects, C-Power, Belwind, Northwind, Nobelwind and Rentel, representing 1.186MW, are fully operational and meet the electricity needs of about 1.200.000 homes or 5 per cent of the total electricity demand in Belgium. Norther, representing 370MW capacity, is currently being constructed. It will be commissioned in 2019. The fully consented projects Northwester 2 and Seamade (resulting from a fusion of the previous Seastar and Mermaid projects), are in the development phase. Those projects are expected to be commissioned by 2020. With these developments, Belgium is currently the fifth highest offshore wind country in the world. With 1.186MW operational offshore wind capacity in the smallest EEZ in the North Sea, the Belgian companies active in the offshore wind industry are building on pioneering experiences in this field. The eight windfarms are expected to be fully operational in 2020. They will represent 2.267MW wind capacity and provide an average of 8 TWh/year of renewable electricity, which is equivalent to 10 per cent of the current electricity demand in Belgium. The European Union aims to further reduce greenhouse gas emissions by 40 per cent for 2030, with a 32 per cent share of renewable energy. To contribute to this goal, the BOP actively advocates up to 2,5GW additional offshore wind capacity in the Belgian North Sea after 2020. This will increase the total North Sea wind capacity to ± 4,6GW, which is an essential building block for the security of supply in the post-nuclear era. A nuclear phase-out Act of 2003 foresees to close-down all the nuclear reactors in Belgium by 2025. Continuing investment in offshore wind energy is therefore imperative. As early as 2003, Belgium started with the development of its first offshore wind farm on the Thornton Bank (C Power). For the pilot phase, six gravity based foundations were constructed on which the first offshore 5MW wind turbines were installed in 2008. This pilot phase was followed by the installation of 6MW wind turbines on jacket foundations. Several Belgian companies such as DEME, CG, Fabricom, Jan De Nul, Hanssen Industrial Transmissions, GeoSea, Iemants, G-Tech, etc., active in maritime construction, offshore electrical infrastructure, gearbox manufacturing and cable laying, contributed to the successful construction and operation of the Belgian offshore wind farms. This pioneering expertise of the Belgian offshore wind energy sector is already being exported abroad: many Belgian companies are active in European and international offshore wind projects. In 2019, construction activities will continue to be deployed in the Belgian part of the North Sea with the windfarm Norther (370MW) as well as with the construction of the Modular Offshore Grid (MOG) of Elia, which will connect four offshore wind farms to an offshore switch yard to bring the offshore wind power to shore. These offshore activities will continue to boost the Belgian offshore wind industry, and will keep these companies at the forefront of offshore wind energy in Europe and the world.